It’s not only about salaries, it’s about offshore software development! Many of our clients confessed that they didn’t know how to start with hiring developers remotely and which country to choose. Why don’t start with a brief overview of main locations, hiring models and prices? 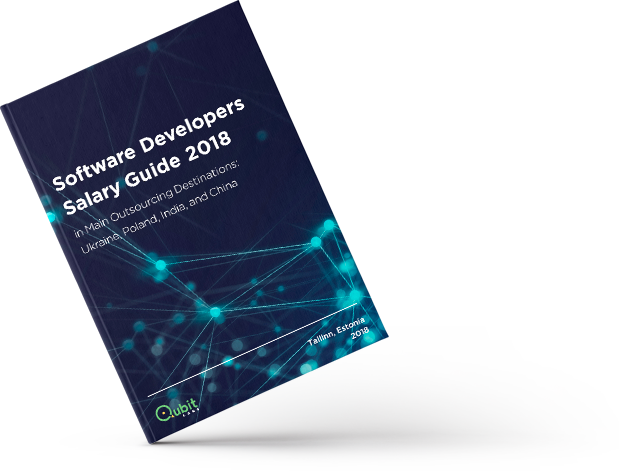 Qubit Labs created a report Software Developer Salary Guide 2018 in Main Outsourcing Destinations. It starts with the information about various hiring models and schemes explaining how they work. Then, we selected two countries from each region, Ukraine and Poland from Eastern Europe and China and India from Asia, for you to get the idea how outsourcing services work there and what are the local peculiarities. 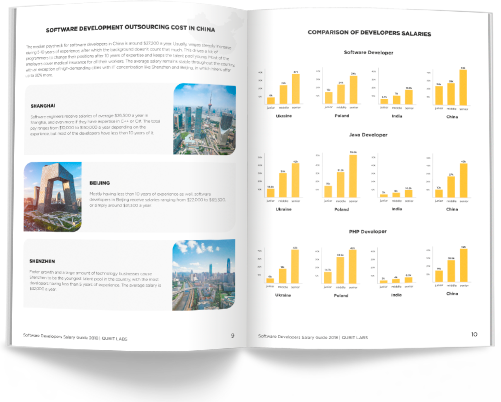 The next chapter focuses on the biggest cities with developed IT infrastructure. Developer salaries vary not only from country to country, but from city to city, that’s why it’s important to know the key locations. Asia or Europe? Europe or Asia? If you cannot make your mind between the top outsourcing destinations, Asia and CEE, download the report. It will be a useful guide for those who consider hiring remote programmers because it contains information about various outsourcing models. You can choose the best-matching variant for your business – an extended team or a whole offshore development center. Those who already know how offshore software development works in general will find helpful data about Asian and European IT job markets and programmer salaries comparison. Thus, be you a young and ambitious startup or renowned enterprise, put this report to a good use. Fill in the form to get a free copy of Software Developer Salary 2018 in Main Outsourcing Destinations to your email!